Great Counter Candy Display for Candy and Chips! 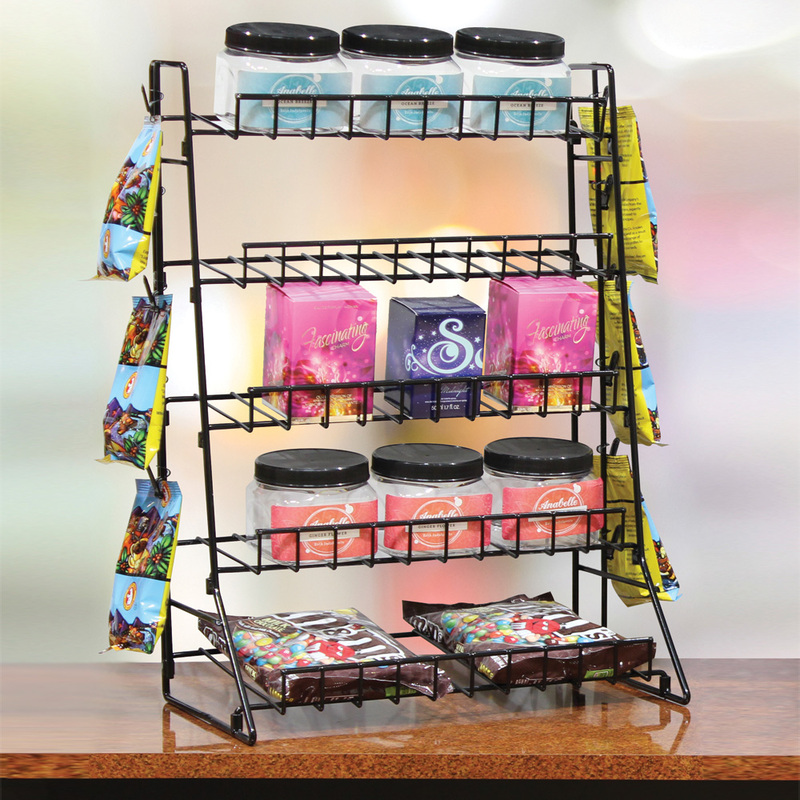 5 shelf rack with clip displays maximizes your counter space for effective impulse sales. Each angled shelf is 14 in. W with a graduated dimension from 4 1/2 in. to 8 1/2 in. Attached clip display has 6 clips per side. Ships K/D to save on shipping. Some assembly required for this candy display. For many more options, we encourage you to make time to look at our extensive array of candy displays at Specialty Store Services today.